Sue is co-owner at Perth Naturopathic Clinic and these days takes care of the business end of PNHC. Sue’s earlier career in Business and Marketing led her to seeking a more balanced lifestyle herself. In the early 90’s she embarked on studies leading her to gain a Diploma in Beauty Therapy and Sports Massage. Sue soon developed a passion for the more tactile therapies believing that as the world becomes more Hi-tech so we must balance our lives with Hi-touch. This philosophy soon led her into further studies in Reflexology with the WA School of Reflexology under Lyn Hatswell where she gained a Certificate and then completed the Diploma of Reflexology in 1994. Sue then took a role with the Dale Carnegie Organisation as a consultant working with Major Corporate Companies and small Business’s alike in the area of Professional and Personal Development where she learnt the importance of people training along with intellectual skills combined. 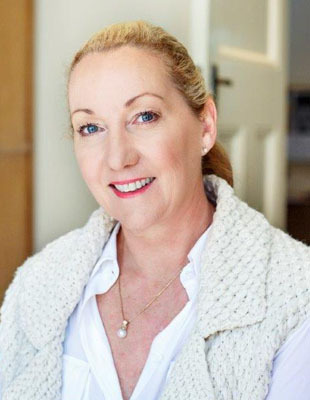 When Gordon and Sue bought the South Perth Naturopathic Clinic in 2004, she hoped to combine the best of both worlds and continued further studies at the Perth Academy of Natural Therapies for 3 years. Sue’s belief in making a good practice, is that we must have knowledge but also compassion and tools along with a genuine desire to help implement changes to peoples Health and Lifestyle, one step at a time. At PNHC she hopes this has meant a supportive and nurturing environment for the practitioners and that this culture can be seen and reflected in the way we treat our patients.